Proppant Today’s US Proppant Market & Forecast Report: 2015 to 2020 contains insights from interviews with industry experts from across the proppant value chain. These experts are from established and emerging proppant producing companies; trucking companies and railroads; railcar leasing companies; pressure pumpers; E&P companies; governmental agencies and trade associations. The report includes a statistical analysis across exploration and production activity and productivity; frac sand and manufactured proppant producers; the logistics industry; market forces and the macro environment. Proppant Today comments on the current impact to proppant demand relative to economic and non-economic headwinds and what can be expected as companies adjust and prepare for the future. 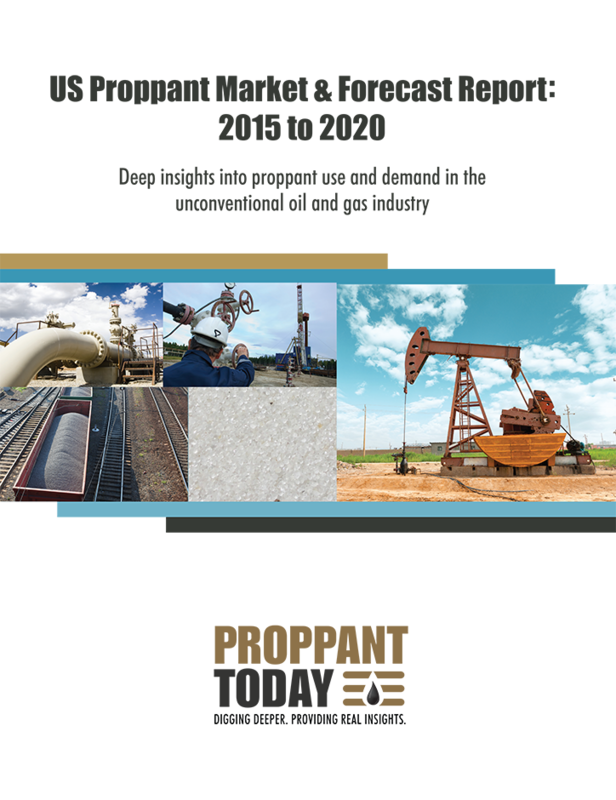 With this report we go beyond just the market trends, forecasts and consumption numbers to truly extract and analyze all aspects of the market, its impact and effect on each other, and the meaning behind all the statistics that will ultimately give the reader a true 360 degree view of the entire proppant supply chain. Consider it an invaluable resource into the real answers behind the information that are greatly needed for making sound business and/or investment decisions. Providing deep insights into the unconventional oil and gas market, choose between an individual license or an enterprise license for multiple users within one location. Additional users can be added to the individual license for $500 per additional user. Future quarterly updates to this report will also be made available for an additional fee.